The linked graphics above these words allow the exploration of the project as it stands currently. The 'Online survey' link goes to the cultural identification survey form - those with one or more cultural identifications are welcome to contribute by filling out the form. The 'About' page gives a short description of the project. The 'Data visualisation' page outlines the visualisation process. The 'Thanks' page is self explanatory. The 'Leistavia constitution' link takes visitors to the constitution document, which is outside of the Interrogating the Invisible project. 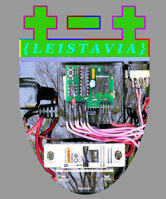 Links on the left of this page are to previous states of the Leistavia project and related material, also outside the Interrogating the invisible project. Please note this project uses New Zealand English spelling.